A group of journalists created The Voyage Report with one goal in mind: to help people get the scoop on travel. There have never been more resources for travelers—but it’s never been more confusing! The Voyage Report aims to be your go-to travel news and information resource with lots of our signature “Top Travel Tips in Two Minutes” videos, money-saving tips and tricks, the latest industry news, and the most important information you need to know as you begin researching your destination—whether you plan to stay somewhere two days or two weeks. We are not travel agents and we can’t arrange, reserve, or book your travel for you. But we can inspire, inform, and empower you to go on amazing—and affordable—adventures. The Voyage Report’s editor-in-chief is Mark Albert, a Peabody Award-winning investigative journalist who’s been a freelance correspondent at CBS News and a reporter in newsrooms across the country. Mark has a passion for travel, having visited 60 counties so far as a journalist and as an explorer. He leads an independent, non-corporate owned newsroom of journalists and contributors who approach each destination as reporters do: gathering facts and information to make the trip as enjoyable as possible, while immersing themselves and their companions in the local culture. We want to share that knowledge with our fellow travelers— including how we go to many of these countries for under $500 roundtrip airfare on major airlines. Watch and listen to the media appearances our experts make on TV and radio. Want to be a contributor? Find out how. We also offer unlimited access — including premium videos, exclusive blog posts, a heads up on breaking deal alerts, a discount on our e-courses, and early notice of our events— as a monthly subscription. Click here to sign up to become a subscriber for $2.99 a month. That’s just 10¢ per day! We think saving hundreds of dollars on travel is worth at least that, and we hope you’ll agree and subscribe right now. The Voyage Report has a strong commitment to transparency and we want you to trust our reporting and analysis. So here’s the most important part: we cannot be bought and our integrity is not for sale. No free or discounted travel, gifts, or services or the promise of any compensation were accepted from any of the places, merchants, or products included in our reporting at the time they were reviewed. We greatly appreciate your support of our original content. 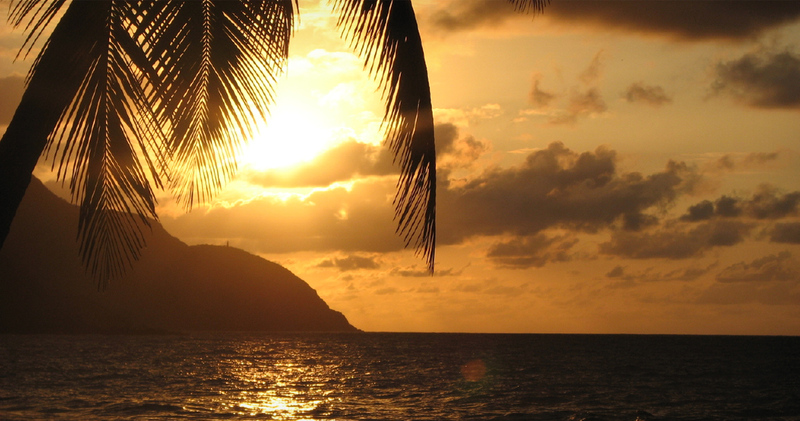 Beautiful sunset on St. Croix in the US Virgin Islands. Love it? Buy it as a framed picture here. By the way, we’re not a fan of stock photos. We want to show you what an authentic experience on the ground really looks like. So all the photos, videos, and audio on this site (including this beautiful sunset above, which we sell) were taken and created by our team and our contributors, unless otherwise noted. That also means reproduction or use of any of the material on this site without our express, written permission is prohibited. Thank you for respecting our original, copyrighted material. These are our Terms of Service. Thanks for visiting VoyageReport.com. We can’t wait to hear about your adventures and share our love of travel together.